It's a shame the aftermath of the ESC is so political. It is hard to discuss music when the general tone is harsh and unforgiving. 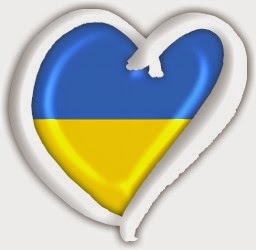 I am happy that Ukraine won. It is a daring and demanding piece of music and ot your usual happy little pop song. While I would have hoped for something slightly more commercial, I'm happy that experimental and alternative sounds stand a chance in the contest. Several times when I tried to make this point I was met by the question if I was happy now as LGBT rights in Ukraine are almost as bad as the ones in Russia. I beg your pardon? This was the year I really tried to keep politics out of this. Russia ditched the hypocritical peace anthems that made me see red in the past so I decided to follow suit and judge them on musical merit. In my humble opinion the Russian song was good but not excellent while the performance was state of the art, partially very impressive, partially very cold and technical. Add all these things together and I think a third place is a really fair outcome. A result most countries would be really happy with. Then of course the relationship between Russia and Ukraine is not an easy one. Especially not at the moment. Had a look at the Ukrainian tv news that seemed happier about being Russia than actually winning. And the tone of the many articles declaring Eurovision dead and hopeless, published by Russian "news outlet" RT, is nothing but ridiculous. 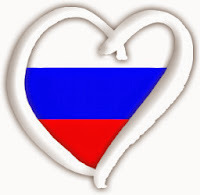 At least it was nice to see Ukraine scoring highly in the Russian televote and vice versa. Time to take a deep breath and remind ourselves this is just a song contest? If you were one of the 16 countries that received a lower score in the televote it was really easy to lose track and hard to keep up with where your own country eventually landed in the ranking. That is my only criticism of the new voting sequence introduced this year. The suspense was kept up until the very last second as Ukraine first snatched the until then seemingly dead certain Australian victory and then managed to keep it despite Russia winning the televote. Perfect drama. Isolating the jury votes also brought back an air of Eurovision what it used to be like back in the day when I fell in love with the contest. Completely unpredictable results, someone gets a 12 from one country only to get nothing from the next. But again I'd like to raise the same old discussion. Who is really on the jury? And what are they told to reward? Originality is one of the criteria, right? 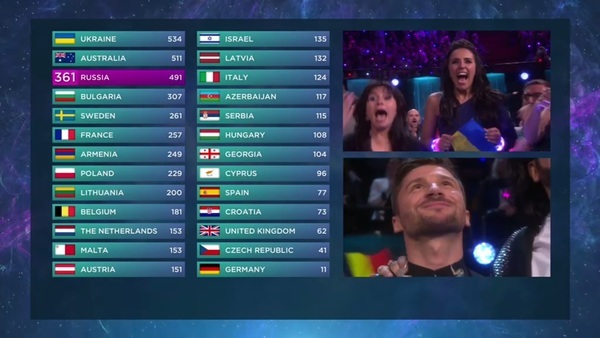 I'm surprised that my dear Italy didn't get more love from the juries. A real quality pop song with remarkable production values and classy songwriting that was totally ignored by many juries. Instead the likes of Lithuania and Belgium got a great deal of points. While I'm happy for two usually unlucky participant countries, I still don't see what there is in either song that would trigger such a reaction from experts. At the same time, the juries held down Austria so much not even a strong televote finish could secure Zoë a spot in the top ten. Surprising. ESC 2016: How do you solve a problem like Germany? I got many things wrong in my prediction yesterday but I did foresee that Germany would end in last place for the second consecutive year. Jamie-Lee didn't deserve it, but it was understandable. The German song was designed to live a long life in the charts, not to break through to people in three short minutes. It lacked intensity and was anything but instant. It won the German final because the audience was already familiar with it after several weeks of airplay. Had Jamie-Lee been forced to enter the national final with a new song instead - one that would have had to impress people on a first listening - she would have had every chance to hit home better in Stockholm as well. This is something for ARD to ponder for years to come. The UK had a pretty similar problem as they had selected a song that felt more fresh and likeable than what the audience expected. 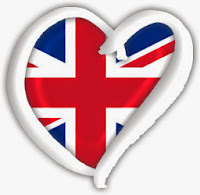 It was a good and energetic song and it was really good for being a recent UK entry. That's also the problem with it. When you get 26 songs at once, you vote for the one that stands out and speaks to you. You don't give kind bonus points to any country just because they happen to be better than you'd expect them to be. You vote for your winner. And while the UK was good it was in no way a winner. The UK has ended up in the well-known territory of Finland - you find a song you really believe in and think will impress people, but in the end they find it to be OK but average and nobody votes for you. "You're Not Alone" was the best song on offer in the UK final but all songs participating were very safe and inoffensive. Next year they would need to find some edge. And then Spain. I must say the low placing of Barei was a great injustice. She gave a good and spirited performance but probably got overshadowed by Russia in the eye of the average viewer. 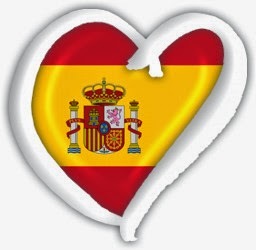 According to people in my Twitter feed there was a real good outcry on social media against TVE and their ESC attitude last night. I can understand that anger. Spain is one of those countries that should be able to make top ten every year if they wanted to. There is so much quality music being made there, of every form and shape imaginable. If TVE would tap into the large pool of established professionals instead of using the people willing to go into an unestablished national final formula, maybe the results would improve? Now wasn't that a shocker, Europe? 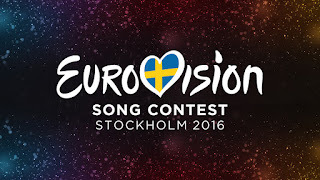 The final of the 2016 Eurovision Song Contest ended like a real thriller should with suspense up until the very last vote was cast. The worst thing about the new voting sequence is that it reminds me a bit of the system used in 1971-1973 in the sense that many big numbers fly across the screen in short time. It was far from easy to keep track on where in the ranking countries landed if they were out of the top ten in the televote. The best thing about the new voting sequence was of course the excitement. Just as you thought Australia had won by a landslide the whole thing was turned upside down and everything changed with the second last set of votes and almost changed again in the last round. Excellent entertainment. Ukraine ended in second place with both juries and televotes. Some people are upset and mean they didn't deserve the victory because of that. It is like arguing Bucks Fizz did not deserve to win in 1981 as they only got two sets of 12 points. The song that receives the highest amount of points wins. End of. I did mention Ukraine as a potential winner the other day but was still a bit surprised. Sadly the winner is unlikely to become a commercial hit in a traditional sense, but it is a good thing in a year dominated by theatrics, moving sets and projections that an entry focusing entirely on music and singing won. I would honestly have been pleased with Australia or Russia winning as well. 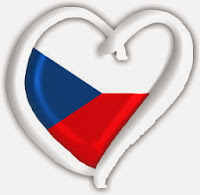 I was really happy for Bulgaria and France for great placings and for Austria doing so well in the televote. Sad that my darling from Italy only managed a 16th place in the end. Thought she would receive far more love from the juries. Also Spain and United Kingdom deserved more than these fiascos. 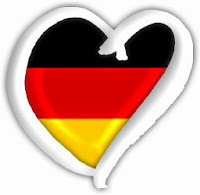 And Germany - last for the second consecutive year. ARD really must take a long hard think how to improve quality control in their national final and find entries that break through to international audiences. How to achieve that is a question for tomorrow, however. 06) France 257, 07) Armenia 249, 08) Poland 229, 09) Lithuania 200, 10) Belgium 181, 11) Netherlands 153, 12) Malta 153, 13) Austria 151, 14) Israel 135, 15) Latvia 132, 16) Italy 124, 17) Azerbaijan 117, 18) Serbia 115, 19) Hungary 108, 20) Georgia 104, 21) Cyprus 96, 22) Spain 77, 23) Croatia 73, 24) United Kingdom 62, 25) Czech republic 41, 26) Germany 11. I'm so sorry for this post, Russia. It isn't really about you at all. I think your song is a catchy little number and I think Sergey is a great pop star. I even predicted Russian victory earlier today. And yet it doesn't feel right. I am not convinced Russia will win. I don't feel it in my glittery little Eurovision-shaped heart. My prediction is more about me giving in to what seems likely and me not being able to find one single standout song that the rest of the world would agree on. There are strong candidates but none of them seem like a more likely winner. So let me just list three reasons why Russia is not going to win tonight. Just to explore my own conflicting emotions here. 1) This shouldn't be a televote winner. Last year the viewers around Europe wanted an old-fashioned, stylish, well-executed power ballad with operatic undertones instead of the slick, hit-friendly song with the cool projection. Why would they want this overblown stage show all of a sudden? 2) This shouldn't be a jury winner. The song sounds very much like a couple of songs that did really well back in 2008-2009, something. Not even then - when they were flavour of the month - did the juries back them. In 2009, Sakis Rouvas was a favourite to win with almost the same song until the juries stopped him from doing so. 3) People will want to go somewhere else. I'm not a fan of this point but let's be honest about it. Quite a few people will be reluctant to vote for Russia because it is Russia. Quite a few of the juries will have been told - although it's really against the rules to do so - that it would be nicer if Russia didn't win. Ukraine already stated they will withdraw next year if the contest is held in Russia. This contest is not supposed to be political but you know what? It is. And because of point 1 and 2, also this will have a bit of an impact tonight. If I am totally wrong here - and totally right earlier today - I hope the victory can be a springboard for the excellent Sergey Lazarev to conquer the international market as well. Or maybe we will all be surprised, with our jaws hanging down, as Petra and Måns congratulate Georgia and the EBU start looking for suitable venues in Tbilisi. Either way, enjoy your evening. May the best song win, regardless of politics. Good luck Russia, and everyone else. I am yet to give you all my final prediction for tonight as I still haven't got the faintest idea who is going to win this year. It is all so open and so possible and so thrilling. If Abba were right and the history book on the shelf actually does repeat itself, then I am hoping for the voting to be a bit like it was back in 1985. Look at the screenshot above. Switzerland just surprisingly gave their top mark to Turkey instead of neighbour - and red hot favourite - Germany and suddenly host country Sweden finds itself in the lead. 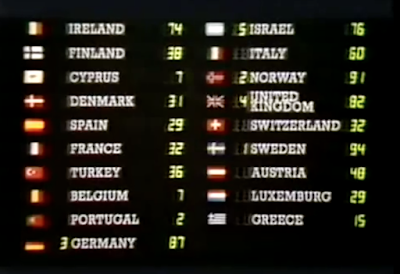 With four countries left to vote, the gap between the leader and the song in 6th place (Ireland) is a ridiculous twenty points. 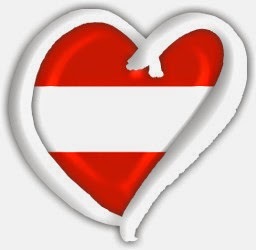 Had Sweden and Austria been as unpredictable as Switzerland, United Kingdom or even Ireland could leap into the lead. Only moments earlier Italy had also been a real contender. Picture it: seven out of nineteen participants involved in the final battle for victory. Please let it happen again! 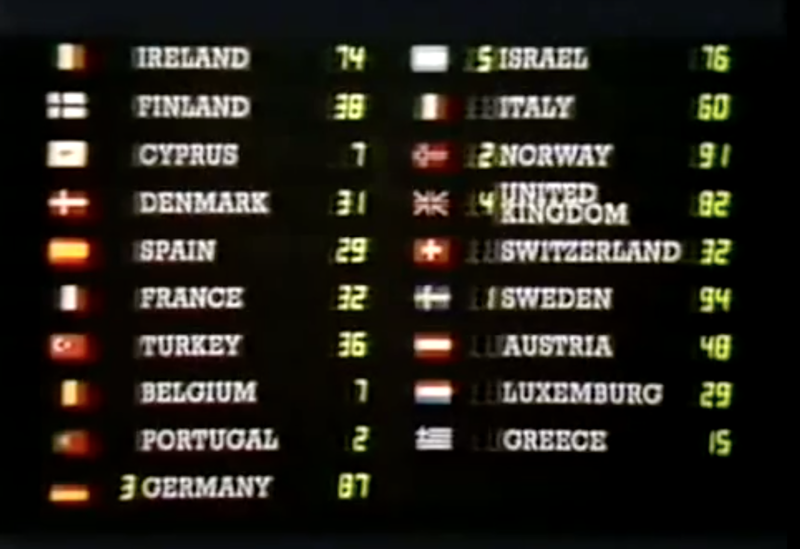 Then Luxembourg ruined the fun already in the second last round of voting and put Norway in a lead nobody could challenge which was fun for Bobbysocks but not so great for the drama. With a bit of luck the new voting format will have us all screaming before we know the winner. 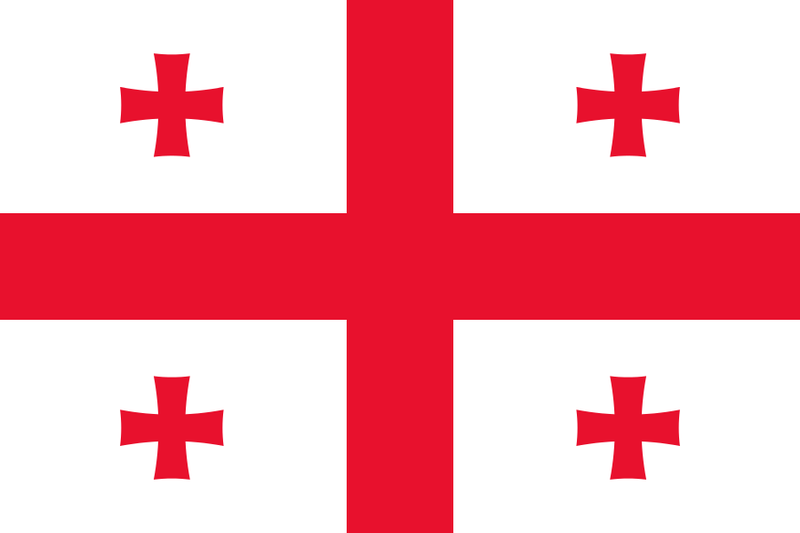 What we needed in the final was diversity and we had it in the shape of Georgia's weird and psychedelic rock number. It's not my favourite song and I don't think it will do awfully well come Saturday, but I cheered happily as they were announced as one of ten finalists. It will add some dynamics and an element of the unexpected. Not to mention it is head and shoulders above that rather stale rocker from Cyprus. The second semi was a most entertaining show - Petra and Måns were in top form - and again I nailed nine out of the ten qualifiers correctly. I was nanoseconds away from putting Norway as a non-qualifier instead of Israel - which would have given me a full ten - but I sort of wanted to be right as Agnete is a sweet girl who struggled hard to get her act together. Israel is the better song so I'm not upset about being wrong. All Nordic countries are out of the running - only host country Sweden will be there on Saturday. It means Frans is likely to receive 4 x 12 points at least. Since the semis were introduced, it never happened that we had less than two Nordic countries in a final. Disappointing perhaps but also pretty well deserved. The Nordic national finals left a few things to be desired this year. Also it is good for the contest that also the Nordic countries fail at times and the likes of Belgium make it two years in a row. Tomorrow morning we will have the running order - then we'll start predicting the winner. I still have a gut feeling Italy will do extremely well but so will Australia and Ukraine. It's here - the night of the first semi where eight hopefuls will have their dreams crushed and their ESC voyage will find an early end. Also ten finalists will make their first important impression on the televoting audience at home and maybe take a first important step towards a top placing. Usually when predicting the semi finals I tell you what ten songs will make it and why, but this year I thought I'd turn the whole thing around. I will tell you what eight songs will be out instead. And why. Feels like the most obvious non-qualifier of the night. Not unpleasant but lacking in both profile and - according to rehearsal reports - vocal perfection. Random dancing cosmonaut on stage just adds the final touch to this failure. Moody introverted rock could be the perfect thing for Eurovision but this package would be in desperate need of a chorus. Or a hook. Or anything to make it memorable. The only thing making me doubt the upcoming Greek failure is that Greece never failed in a semi final before. Sometime their luck must end. And there is nothing in this entry that would deserve a spot in the final. I wish this wouldn't happen but it will. This will be too anonymous and easily forgotten coming as first song of the night. The usual non-promotion that the local record companies specialise in hasn't helped either. Too bad. Don't laugh too hard at Serhat, he is likely to land one of San Marino's best showings to date. But an 11th place is not enough to make it to the final. Just like Greece, Bosnia never missed out in a semi. I have a feeling either this one or Croatia will lose out tonight. It could very well be the other way around but I would prefer it like this. Iceland or Estonia. I have a strong feeling one of them will lose out. And then I think Iceland will suffer in the battle of the screens - Russia will out-project everybody else and Iceland can't really afford that. I'm going to go out on a limb here and predict that also Azerbaijan fails for the first time. News reports suggest Samra sang really badly at last night's jury final, and the Land of Fire was really close to getting eliminated already last year. It will be very revealing to see what jurors vote for this despite all the sick notes. 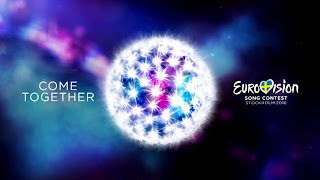 If Europe agrees with me that these are the eight songs we are sending home tonight, then my list of qualifiers would be (in order of appearance): Hungary, Croatia, Netherlands, Armenia, Russia, Czech republic, Cyprus, Austria, Estonia, Malta. It doesn't seem altogether right - Netherlands, Estonia, Croatia and Austria are surely under threat - but I will run with this, while secretly hoping for Serhat to make the cut. The first semi final is in two days and I think it is about time to throw in the towel. There are some countries that are just not going to make it to the final for various reasons. One of these countries is very likely to be Finland. I have not changed my mind a single bit about the song itself. As I wrote in my review I find it bouncy and happy and I love the energy in it. But sometimes you just have to resign to certain facts. First fact: nobody else believes in it except me. I haven't seen one single person on location in Stockholm who expects Finland to make it into the top ten on Tuesday. That doesn't mean anything in itself. Very few people saw the qualification of San Marino coming in 2014. But still. Second fact: Number one is not a very good starting position. Especially not for Finland. Our songs are seldom particularly mainstream and often look better when there is someone else to compare you to. Had Sandhja come in after Greece-Moldova-Hungary-Croatia instead of before them, she would have appeared like an energy injection. Now she's just a pleasant opener that few people will remember. Third fact: Luck is not Finland's forte. 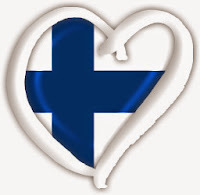 Finland is the kind of country that seldom performs better than anticipated. We usually underperform instead. Every single Finnish entry after Lordi (with the exception of Softengine) failed to live up to expectation. Every. Single. One. Would Finland have been better off with another song from UMK, then? A hyperactive and over-excited Saara Aalto would have felt as out of place as a Moldovan cosmonaut and Mikael Saari would have been just another handsome male with a slower song. Sandhja was the best choice. This just isn't our year. Now I'll publish this text and spend the next days hoping this is all rubbish and I'm all wrong. I just don't think I am. We already established that I'm not in Stockholm and that I won't be there at all this year. Fourth consecutive year covering the contest from the sofa. Not too bad, it has its advantages. I do keep an eye on rehearsals through reports and short clips from Globen and the distance really gives you a more sober idea of what works and what doesn't. On location it is so easy to get swept away by the general enthusiasm surrounding a certain rehearsal and lose a little bit of your judgment. In all fairness I do miss getting swept away. Next year I hope to be. What stands out to me while keeping up with the first two days of rehearsals is that the inevitable happened. Suddenly this year everyone is using technology to enhance their performances. Screens, projections, 3D effects, you name it. High-tech is suddenly what drums were ten years ago. Omnipresent and not always needed. When what felt like the seventeenth country pulled some sort of animated hocus pocus out of the bag I felt I had had it with it already. I loved Moldova's dress thingy in Malmö 2013. I love Måns' sweet routine with his Mini-Me last year. Both were done with warmth and intelligence and in both cases the technology added to the performance instead of taking over. From what little I can tell from available footage, some of this year's performers seem reduced to mere props in their own entries. I know what you may be thinking at this point. This is not aimed at Russia. They are attempting to take the whole thing to next level, which is interesting. But when more people project stuff on dresses than not, it will diminish also the Russian effect. I understand everyone's wish to impress and to make more of their three minutes on stage than just plain old-fashioned singing. But at some point all of this extravagance could become too much and make people long for something simple. Just because you enjoy the occasional slice of heavy Schwarzwald cake doesn't mean you want it at every meal. If the second semi turns out to be as tech-heavy as the first one, my strongest feeling about the final is that something simple, straight-forward and intimate will have strong chances of winning. 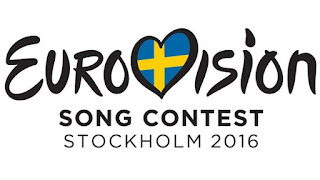 There we have it - I reviewed every single one of the preview clips for the 2016 Eurovision Song Contest. It really is fair to say I reviewed the clips rather than the songs since so much is about to happen to our perception of the entries as soon as rehearsals begin. But if you missed one or just want to read back again, here are links to all of the countries and my posts about them. If you want to read my opinion on poor, excluded Romania you will find it here.